Attached is a list of the club’s target meets for next term. These are the meets that coaches feel are important for Flyers to attend in order to help swimmers to develop and improve their skills. We have decided to only advertise club target meets on the site in future, as we aim to take bigger teams to fewer meets. 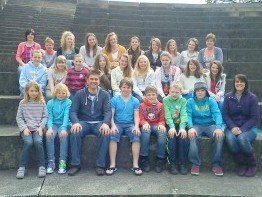 However, if there are meets that some swimmers/parents want to attend, please contact Fred or Karl (fixturesec.flyers@gmail.com) to discuss. Dear all, Some more info about Sunday July 8th. 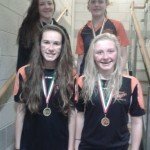 Please could all swimmers arrive at 12.15 at Fishguard Leisure Centre reception. Warm up will start 12.30 and the gala will start at 1pm. Please note that this gala is not a licensed swim meet which means that the times the children achieve will not go into Swim rankings. We do have however a referee and officials who will judge the strokes and disqualify if needed. This is an important part of the learning for the children. If disqualified, the children will still receive certificates for their races with their time and a note of the disqualification. 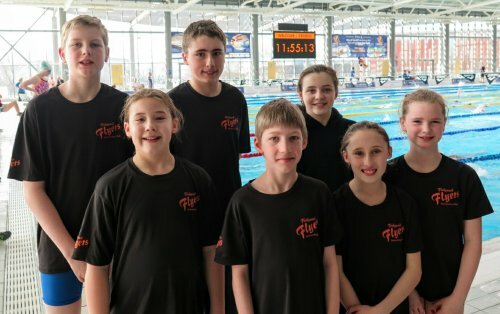 All swimmers are asked to stay to the end of the gala when (if time allows) some fun relays for everyone will take place and all swimmers and parents are invited to join us for the Club Champs presentations and our Annual Awards presentations in the Studio from 4pm-5pm. We normally prepare a cold buffet for this – A list of food and drink required for the post-gala buffet will be on the notice board in reception shortly, please put your names behind foods and drinks you can provide. It would be helpful to label the home made food as we have some children with food Allergies. We would appreciate if some parents willing to help setting up the studio could come forward – we have access to the studio from 3.30pm. We do not charge entry fees for the races or for the gallery for the Club Champs but we will hold a raffle to make some of the money back which we spend on pool hire and awards, medals and certificates. There will be one large prize for the raffle and rather than bring small raffle prize items, we would be grateful if you could generously buy raffle tickets to support the event and help securing the running of the Club Champs for next year. Some more practical tips for the day. 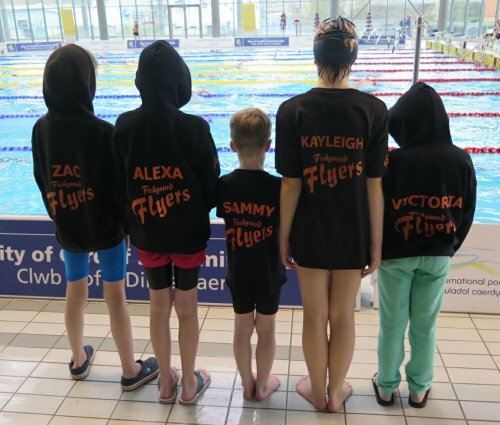 Children should change as usual in the changing areas but bring to poolside a bag with goggles, hat, water bottle, small snack, two towels, a t-shirt, shorts, shoes (flip flops or crocs) and hoodie to wear between races. 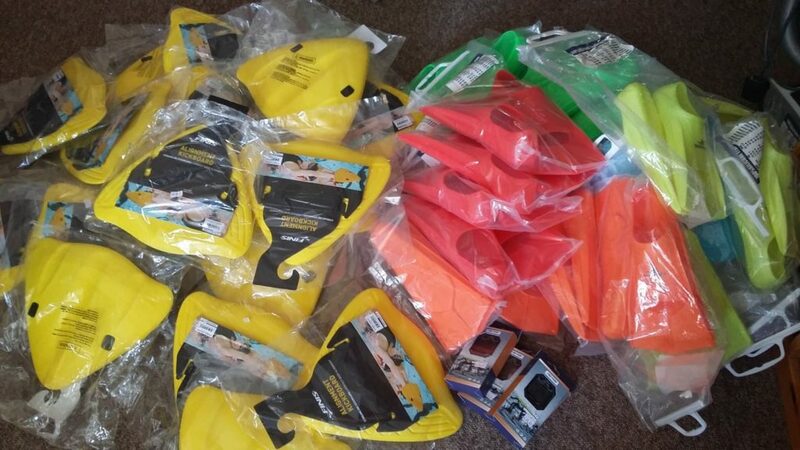 Flyers has received 20 streamline boards and 20 pairs of small sized fins to help our younger swimmers develop best body positions and strength. Thanks to Richard Curtis, our former club secretary, for securing funding for these. Also, three of our coaches recently completed their Level 1 coaching qualifications. Well done to Julie, Ryan and Rob – we are hoping to also receive funding for these courses. In addition, the club needs help with fundraising and grant applications to ensure further development of the club. We would welcome volunteers to come forward to take care of this side of the club. 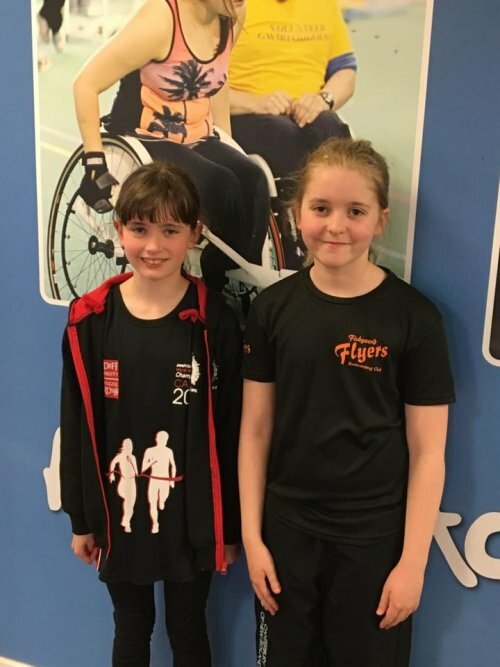 We also are looking for someone who can spare some time to organise social outings and long course training – ideally this could tie in with grants and funding. So, if it sounds too much for one person, there may be 2 parents out there who would like to share these roles?